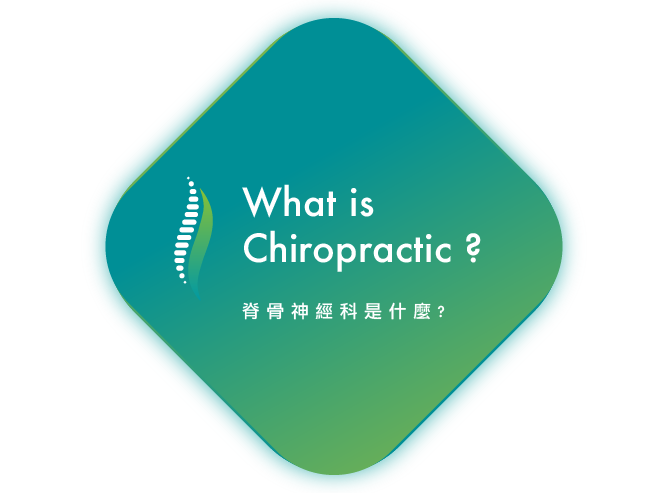 What's Chiropractic | 脊骨神經科 是什麼 ? Chiropractic is a distinct healthcare system. Chiropractic is a discipline of the scientific healing arts concerned with the pathogenesis, diagnostics, therapeutics and prophylaxis of functional disturbances, pathomechanical states, pain syndromes and neurophysiological effects related to the statics and dynamics of the locomotor system, especially of the spine and pelvis. Chiropractors are primary healthcare professionals trained to diagnose conditions that can be successfully treated by chiropractic. Schedule an appointment and tell us more about you.